Sick Day under a microscope! Feeling under the weather and not up for school? Rough night and just can’t get to work? Perhaps you really have a fever and body aches. 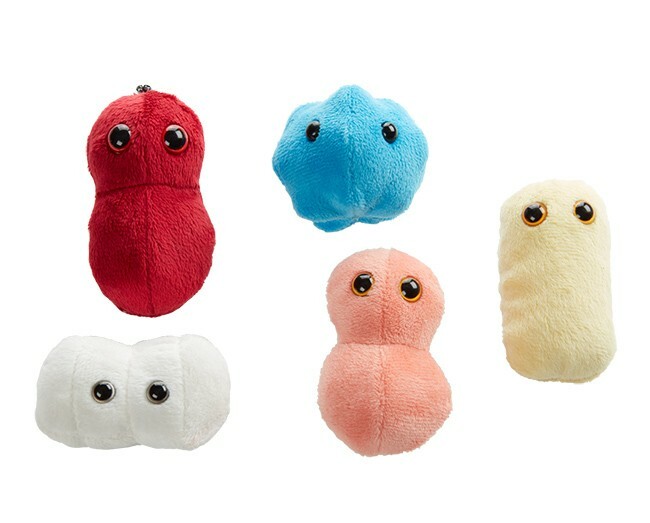 These Sick Day microbes might cheer you up or inspire you the next time you don’t feel like leaving the house. 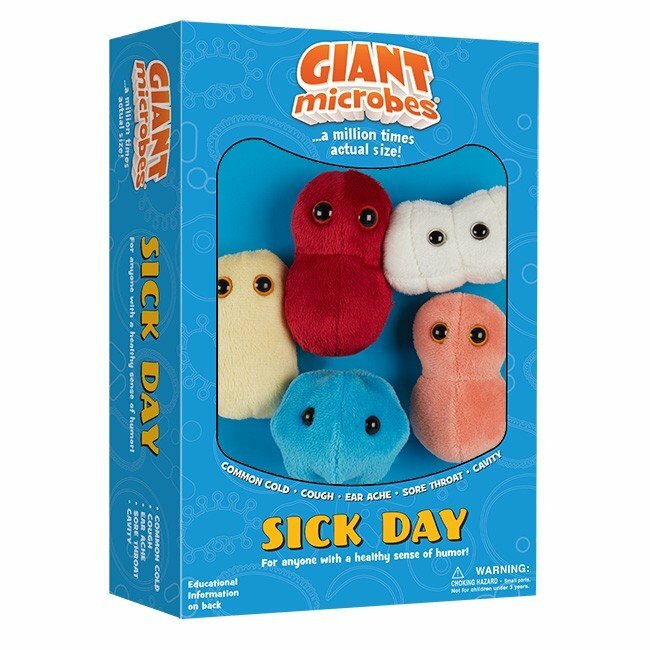 Sick Day themed gift box includes these mini microbes: Common Cold, Cough, Ear Ache, Sore Throat, and Cavity. 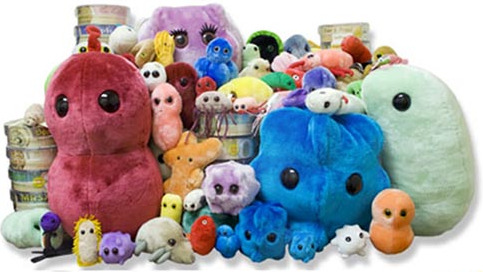 There are over 250 different kinds of common cold viruses! But Rhinovirus is by far the most common. Rhinovirus causes 35% of colds and it can survive for three hours outside someone’s nose! The best thing you can do to lower your chances of catching the common cold is to wash your hands – a lot! While common cold and flu viruses can cause ordinary coughs, B. pertussis bacteria causes “whooping cough,” a serious cough that can go on for over 6 weeks. Ear aches are one of the most common health ailments found in young children - and most are caused by Streptococcus pneumoniae bacteria. S. mutans is the leading cause of tooth decay and a primary component of dental plaque. By eating sugars such as fructose, lactose, and glucose, S. mutans creates lactic acid that dissolves the minerals that make up your teeth. As these minerals dissolve, holes – or cavities – are created.